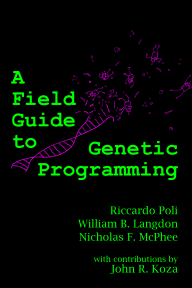 Sander Land found a bug in the constructor "tiny_gp" of the TinyGP system described in appendix B: the "x" array is initialized (lines 345-346) after the population is (line 344), causing invalid fitness evaluations during the initialization of the population, thereby wasting the first generation. The mistakes has been fixed in the code available here. Many thanks Sander (and apologies to all users). i've tried the new code. and i'm having problem with GENERATIONS variable. i can't change the value of the variable easily, while in the old code it can be done easily.